Mademoiselle Macaron celebrates being 1! Friday the 15th of May was Mademoiselle Macron’s 1st Birthday so being the lover of birthday parties that I am, off I trotted in my leopard print dress (like a party dress when you were wee, remember those?) to celebrate along with a other Edinburgh based bloggers. I briefly mentioned my night at the event in my 4 Things post but didn’t go into too much detail because the night deserves a post all of it’s own. The shop is located on Grindlay Street and had a beautiful view of the Castle which looked lovely as the sun set on the night. Inside I was met by some lovely Edinburgh bloggers and the shops owner, Rachel. 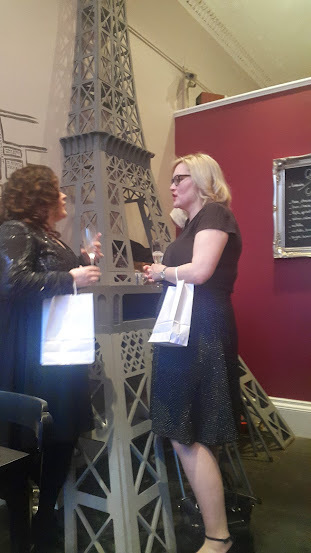 Who handed me a glass of Prosecco which went down a treat – naturally. 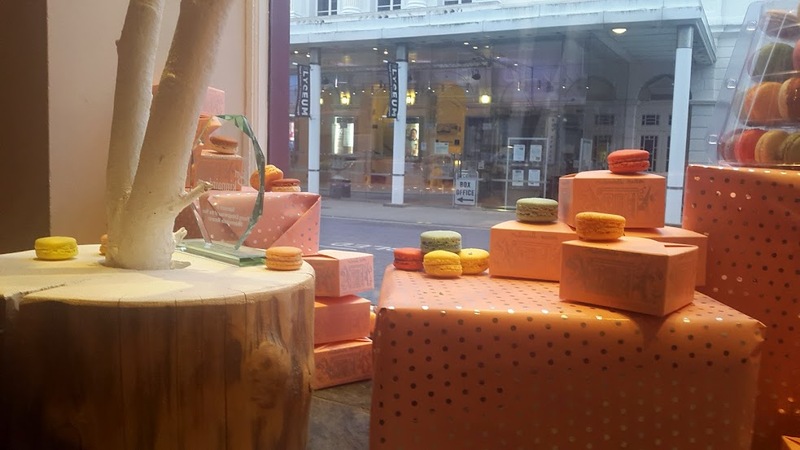 The shop is oh so Parisian, with a map of Paris next to a map of Edinburgh painted on the wall, a huge half Eiffel Tower and 2 chaise longue to perch your bum while you enjoy the macaron goodness. 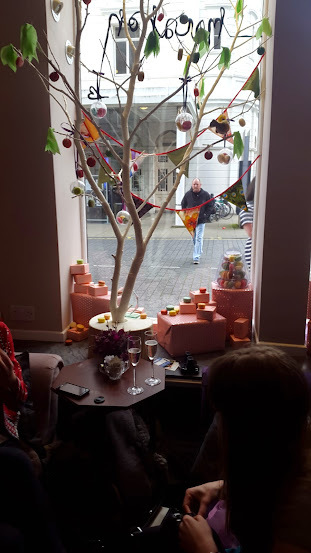 Naturally I loved the decor due to it’s very French inspired look and the macaron’s were heavenly. Mademoiselle Macaron had prepared a selection of sweet and savoury macaron’s for us to try and let me tell you they were a delight. From cream cheese and prosciutto to gin flavour and not forgetting the burger macaron’s. Each flavour was as delicious as the next but none were over powering or too heavy. The shop owner is lovely and a super talented lady. We all got a little gift bag with some macaron’s to take home which have been staring at me wanting to be eaten for too long. Mademoiselle Macaron offers a 3 hour class where you can learn how to make macaron’s which to be sounds like an amazing way to spend 3 hours of your time. 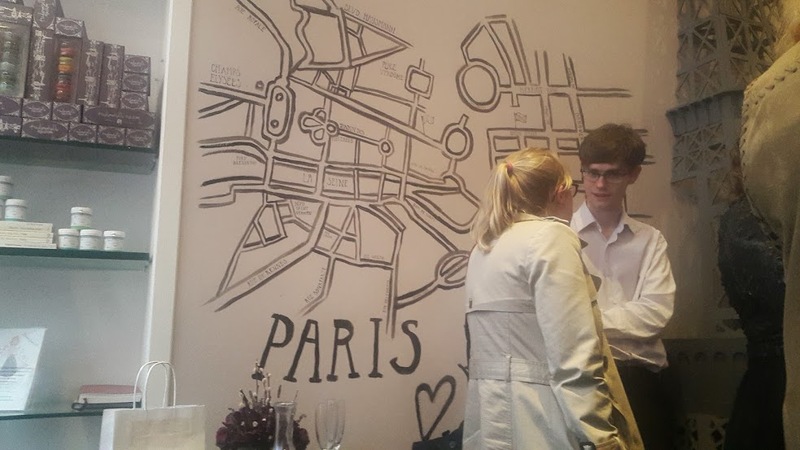 Learn something new, get sweet treats and spend sometime in a Parisian themed establishment! What more could you want?! 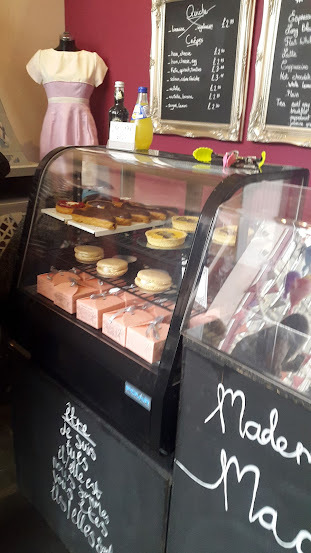 I will 100% be going back to Mademoiselle Macaron’s soon for tea and a sweet treat purely for the fact that it is such a lovely shop with a great atmosphere and the macaron’s are delicious. If you want to find out more, pop onto Mademoiselle Macaron’s website here.